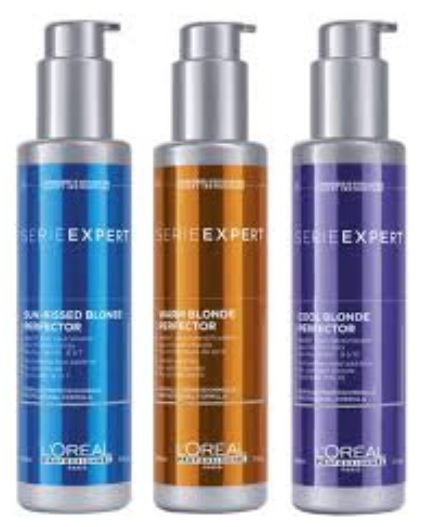 Keep blonde hair shiny, nourished and radiant with L'Oréal Professionnel Serie Expert Blondifier - an entire haircare system made for natural, highlighted, coloured and bleached blondes. Formulated with Brazilian acai polyphenol derived from the dark purple berries and already used in skincare for its antioxidant benefits - it's the perfect superfood for blond hair! Blondifier Cool - 300ml - $26 - gently cleanses and revives cool blonde hair with a formula enriched with polyphenols and purple pigments, neutralizing unwanted yellow tones for a cool blonde effect. Blondifier Gloss - 300ml - $26 - gently cleanses and emphasizes the multidimensional shine of blonde hair while providing intense nourishment and smoothing for damaged hair. Blondifier Conditioner - 200ml - $29 - restores and illuminates blonde and highlighted hair while instantly improving the hair texture and hydration leaving hair soft, shiny and easy to detangle from lengths to ends. Blondifier Mask - 250ml - $38 - with a highly concentrated formula of polyphenals, ceraminde and vitamin E to instantly replenish, smooth and nourish sensitized hair leaving blonde hair with multidimensional shine and radiance. Blonde Perfectors - Sun-Kissed Blonde - anti-copper blue additive for medium blonde; Warm Blonde - beige additive for highlighted or warmer blonde; Cool Blonde - anti-yellow violet additive for light blonde.